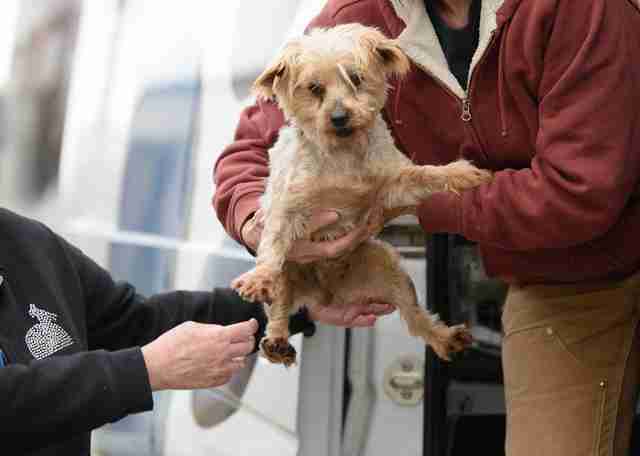 Dozens of dogs who survived the pain and cruelty of being used as breeding dogs in puppy mills are now safe, and waiting for their first loving homes. 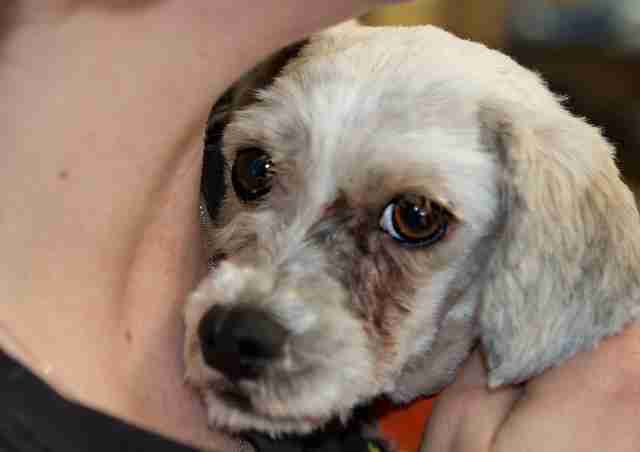 Colorado-based organization National Mill Dog Rescue saved 80 dogs from puppy mills across the Midwest, some of whom had been "discarded" after serving as breeders, local outlet KDVR reports. 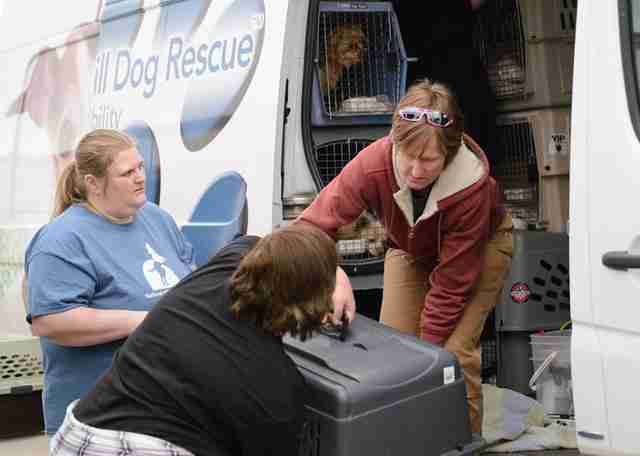 The rescue organization traveled through multiple states in a specially-outfitted van to pick up as many puppy mill survivors as possible. National Mill Dog Rescue has worked to gain the trust of puppy mills around the country, offering to take in breeding dogs who would otherwise be killed. "At the end of the day, we want these dogs to have a future," the rescue's founder, Theresa Strader, told The Dodo. "We work with many places that are hell, but we are just as nice to them, because those dogs need us more than anyone." The dogs, who range in age, are mostly small breeds like Yorkies and miniature poodles. The lives of dogs used for breeding in puppy mills are rough; they're bred again and again, often living their entire lives in cages until they're killed when they're no longer useful. 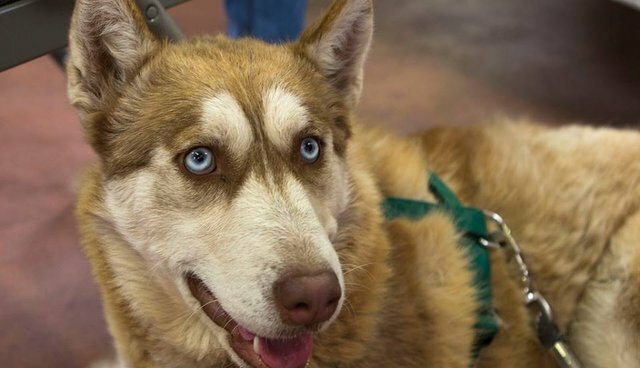 "The mom and dad of the puppy in the pet store window are unlikely to make it out of the mill alive," the ASPCA explains. The Dumb Friends League, a shelter in Denver, took in some of the rescues, who will receive medical care and then go up for adoption. The rest will be adopted out through National Mill Dog Rescue. They'll need special care, because, like most puppy mill survivors who've spent their lives in stacked metal cages, the dogs have no experience walking on a leash, sleeping in a bed or even being outdoors. The National Mill Dog Rescue uploaded photos of some of the rescues to their Facebook page, and the faces of the now-free dogs speak volumes about what they've been through ... and where they're headed. "The joy and the reward is immense," Strader told The Dodo. "Better than any paycheck." Here are some suggestions for steps you can take to help shut down puppy mills for good.